On March 4 Tashkent hosted the conference on The future of judicial and legal reform development in the Republic of Uzbekistan. This meeting between independent public associations and government-controlled legal structures produced ambiguous reaction. In his interview to Ferghana.Ru Surat Ikramov, the Chairman of the Initiative Group of Independent Human Rights Defenders of Uzbekistan, shares his ideas about the conference. - The judicial and legal reform in Uzbekistan is the plan, but not action – the human rights activist believes. – Let us consider the facts: the secret courts are still widely applied in the regions of Uzbekistan while the judges issue the arrest warrant without involvement of lawyers. Often times, the defendants have to use the services of state lawyers. The International Red Cross Committee representatives are not allowed to visit the colonies to investigate the torture cases and etc. The government only proposes the amendments to the Criminal Procedure Code and Civil Code. In my opinion, the reforms mean radical changes, improving entire judicial system. Today, as a general rule, the judges are not independent in decision-making because the executive authorities put pressure on them. Ferghana.Ru – What about the case of Umida Akhmedova? - Although there are many secret courts, as I already mentioned, this trial could not be run secretly since Umida was accused of "insult" of Uzbek people; it was very demonstrative case. Meanwhile, we are still contacted by many relatives of convicts, which do not even know about the trial processes. The thousands of people were blamed in crimes, related to terrorist acts and religious extremism. The waves of arrests took place after the explosions of 1999 in Tashkent and suicide terrorist acts in 2004. Closed trials and arrests also followed after the Andijan massacre of 2005 when over 400 people were secretly brought to trial. It has to be mentioned that there is still no law on militia and national security forces; therefore, the operations of these structures are illegal. In case of adoption of such law, every officer would have the written contract with job description. Nonetheless, today, the police officers perform the orders of their patrons and they are even sent to work at the cotton fields. 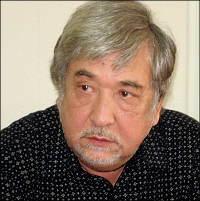 The prepared documents on this issue were directed to Oliy Mazhlis (the parliament of Uzbekistan) in 2001. In the last 9 years the interested parties have been resistant to adopt this law. By the way, nobody brought up this fact at the conference. Summarizing, I believe that the dialogue between the Expert Working Group and the government will produce no effect since the authorities are not interested in the result. On the other hand, the mission of human rights defenders is to identify violations and defend the human rights, but not to give praise to the alleged reforms. I do not see the positive outcome of the conference also because it did not involve the human rights organizations from the different regions of Uzbekistan that could tell real things, going on there. I believe that conference participant learned what they knew already. In my opinion, the improvement of human rights situation means that no person is illegally arrested within a year. Last year only 10 judges were arrested for bribery. How can you talk about "independent" decision making here? Overall, I can state the human rights situation is deteriorating, but not improving in Uzbekistan. Announcing insignificant changes in the judicial system you can not really say these are reforms since the reform process must seriously and radically improve public life. Unfortunately, this is not our case.